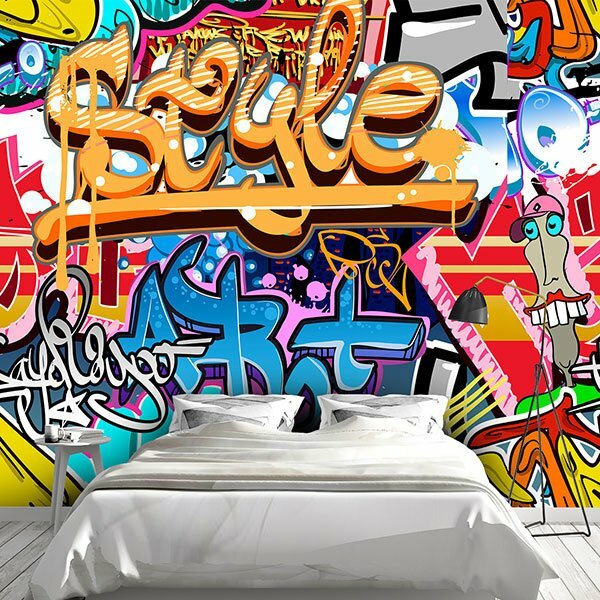 Wall mural Graffiti. 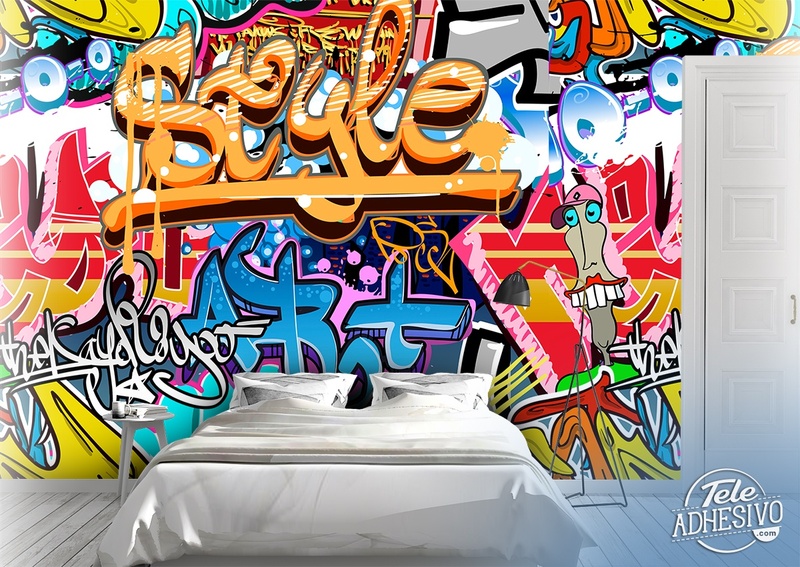 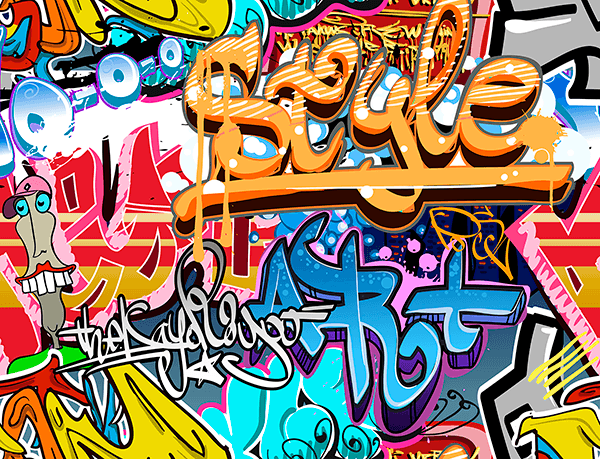 Reproduction of graffiti and signatures you can find on a wall, with a very urban saturated style. 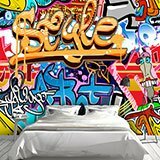 This design can be continued to the left and right, as the drawing takes place, creating an elongated image when you buy 2 units or more, which you can place in a row.